Source: Borrowed from Tara - thank you! Before: Reena Montero has loved Sawyer LeGrande for as long as she can remember: as natural as breathing, as endless as time. But he's never seemed to notice that Reena even exists until one day, impossibly, he does. Reena and Sawyer fall in messy, complicated love. But then Sawyer disappears from their humid Florida town without a word, leaving a devastated-and pregnant-Reena behind. Messy and complicated love. That is exactly what this story is about. HOW TO LOVE depicts young love during its fresh, exciting, and addicting time. It also represents love when its being tested and stretched beyond its bounds. 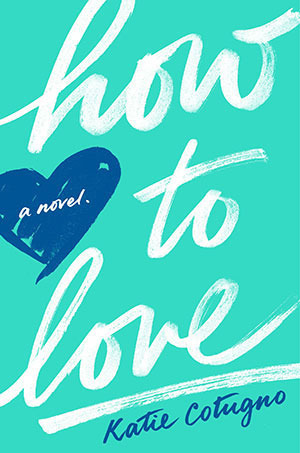 HOW TO LOVE is an authentic story full of heartbreak and how to put those pieces back together. Yes, there's a romantic story here, but there's also a bigger story about how that romance affects us and those we love. Reena has been secretly in love with Sawyer all her life. They've grown up close since their parents share a restaurant together. The view that Reena has of Sawyer has always been a bit deeper than what most people see at the surface. But its always just been that, a view far off in the distance. While she's on the path to early graduation and getting out of town -- something she's longed for almost as long as Sawyer -- her life's plans come to a crushing halt. An unfortunate accident occurs, bringing together Reena and Sawyer in a new, unexpected way. The story is told in alternating chapters of a Before and After. The Before tells the story of how Reena and Sawyer first fell in love. Its brand new, exciting, and somewhat blind. As Sawyer is carrying around demons of his own, he finds himself falling hopelessly and madly in love with Reena. The After tells the story of Reena almost three years later, a teenage mom who never left this town and carries around a broken heart by her baby's father. As the story weaves on, you begin to see how the Befores lead up to equal the Afters. Reena and Sawyer's young love became every bit messy and oh so complicated. There were moments that left me feeling so uneasy and heartbroken. I wanted the two of them to be together, yet I knew as teenagers they both had a lot of living yet to do. The writing is powerful and will grip you hardest when you least expect it to. I could have easily read this book in one sitting, especially since my mind kept wandering back to it when I was forced to put it down. HOW TO LOVE is not your predictable young adult fairy tale romance. It is raw and painful, beautiful and enchanting. These characters are littered with flaws, yet they make the story feel that much more real and authentic. I thoroughly enjoyed this story and I think those who crave young adult literature with a heavy dose of realism and emotion will too. 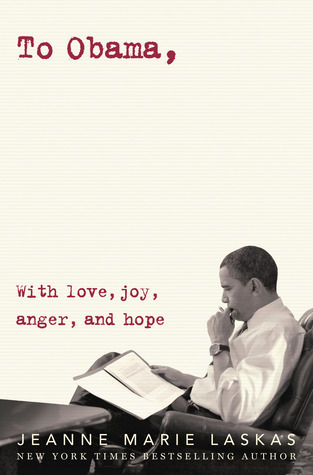 I love this cover, I am going to have to add it to my TBR! Great review! I really loved how flawed Reena and Sawyer were in How To Love. I was also shocked at not disliking the baby, usually I am not a child person and for once I was like, hmmm babies aren't that bad. I've been curious about How to Love for awhile, but I just can't decide if it is for me. At least right now. I'm been seriously into the Happily Ever Afters lately. This is a great review, Ginger. Hooray! I liked this one too -- and I usually hate teen pregnancy books. It was about so much more, though. You definitely sold me on this one! You nailed it with this review! I had a hard time putting into words my thoughts on it. I think I may reread it before I post my review. I just loved it so much - it was real and honest and heartbreaking. I really enjoyed this one too and I didn't think I would. I've read books about teen pregnancy and concluded it's for really for me, but I loved her writing style and how it focused on love and mistakes and family. I'm also a sucker for before/present storytelling. I would definitely read more books Cotugno!